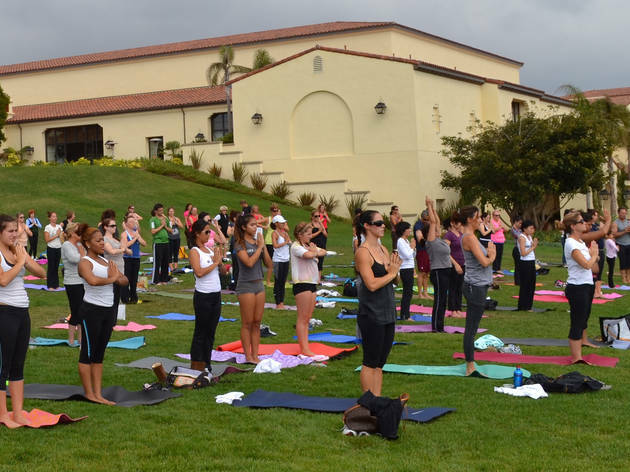 Perfect your tree pose by the beach at this National Yoga Month celebration. 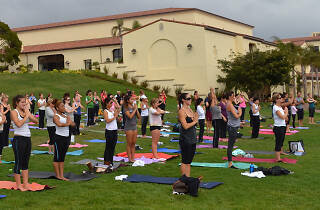 Seasoned yogis and beginners are invited to participate in a class, led by the Terranea resort’s fitness experts, on the 16,000-square-foot oceanfront Palos Verdes Meadow. After a few downward dogs, head over to the spa for refreshments, a Lululemon trunkshow and book signing by yogi/author Leeann Carey. All you need to bring to this free yoga-by-the-sea class, is a mat and an open mind.